The Office of Personnel Management is months behind schedule in eliminating the retirement claims backlog because of mandatory budget cuts and an influx of new applications from the Postal Service earlier this year, according to an update released on Monday. The agency hopes to clear up the backlog to a "consistent workload" by March 2014 -- roughly seven months later than the original target date of July 2013. The backlog now stands at 25,601 claims; OPM had hoped to have about half as many claims in the queue by July 2013. But the new schedule is contingent upon the budget situation in October when the new fiscal year starts, and that is up in the air right now. Congress has not passed any spending bills yet and is in recess. Sequestration, which began in March, forced OPM in April to stop all overtime on retirement processing for the remainder of fiscal 2013 and reduce its retirement call center hours, affecting customer service. The agency estimated that the loss of funding because of the sequester has reduced retirement case processing by 20 percent to 25 percent. Still, the agency remains committed to its goal of processing 90 percent of retirement claims within two months’ of receipt, Zawodny said. OPM statistics show a slowdown beginning in May 2013, shortly after the agency got rid of overtime and reduced call center hours. Between May and July of this year, the agency reduced the backlog by 2.3 percent, or 609 claims. Contrast that with the time period between May 2012 and July 2012, when OPM decreased the backlog by about 10 percent. Nearly 53,000 new retirement applications poured in between January and March of this year, many of them from Postal Service employees taking advantage of the early outs and buyouts offered by the financially strapped agency. Despite the setbacks, OPM has made steady, if slow, progress in tackling a claims backlog that has been growing for decades. Over the past 12 months, the backlog has fallen 43 percent. The average processing time for a claim is now around 91 days, down from about 156 days in February 2012. Over the past 18 months, the agency has processed more than 205,000 retirement applications; to date fewer applications are in the processing queue than at any time in nearly four years. During 2012, the agency cut the backlog by 57 percent, thanks to an aggressive strategy and pressure from Congress, the media and federal retirees. OPM has hired more staff to process retirement claims -- there are roughly 500 employees now involved in retirement processing in some capacity -- and the agency is incrementally upgrading technology to expedite payments. OPM aims to receive and process fully electronic retirement applications within the next five years. 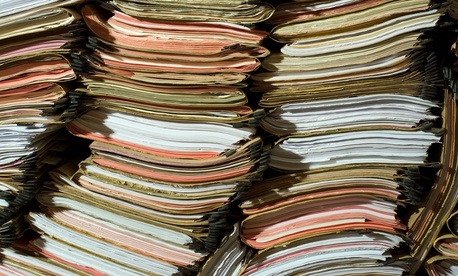 A full transition to a paperless will take several years, the agency said, because of the variety of formats and stakeholders involved in the claims process. Processing retirement claims, particularly disability claims, can be complex and time-consuming, and OPM relies heavily on federal agencies to provide it with retirees' information, including the amount of their annuity. The agency uses hundreds of different procedures, laws and regulations to process retirement applications, administering benefits for 2.5 million federal retirees and processing about 100,000 new claims annually. OPM continues to work closely with other federal agencies on improving accuracy in retirement claims, and they’ve made significant progress in reducing errors, Zawodny said. From April to June 2012, the overall error rate was 20 percent, according to OPM figures. During the same time this year, the error rate had fallen to 5.6 percent. The error rate crept up to 9 percent in July, however.